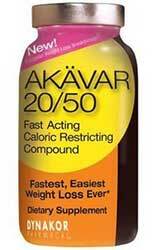 Akavar 2050 is diet supplement brought to market by Dynakor. The company is based in the American state of Utah, but it appears they may be trying to target dieters in Europe because the official website states the product is a “European Weight-Loss Breakthrough”. When we visited the Akavar 2050 website we were impressed to find a telephone number for the customer service center. An email address is also provided, but the site leaves a lot to be desired in other areas. 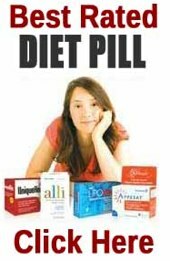 No guidance is provided about dosage and there is no information about what ingredients the pills contain. What is Akavar 2050 and How Does it Work? Akavar 2050 is an appetite suppressant. Dynakor state it is powerful enough to restrict the calorie intake to such an extent the body will be forced to “pull excess fat from all over the body”. “Pull” is strange choice of word, but if the formulation can restrict the calorie intake in the promised manner the body will need to start burning fat to top-up its energy levels. Although the formulation is not disclosed on the official website, we found an Amazon sales page that provides this information. However, the bottles available via Amazon contain 120 capsules. The bottles on the official site contain 72. This could mean the pills for sale via Amazon are not genuine, but it is possible Dynakor are using Amazon to market a different pack size. 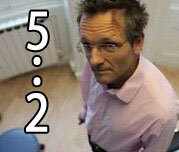 Vitamin B6 (25mg): An important vitamin that helps provide an efficient metabolism. Magnesium (100mg): Some studies suggest magnesium can play a role in weight loss, but further research is needed. Caffeine: A popular stimulant that is good for providing extra energy. Research shows caffeine also has the ability to encourage fat burning. It is also known to have limited value as an appetite suppressant. Yerba Mate: A plant extract that provides caffeine. Kola Nut: Another source of caffeine. Guarana: And yet more caffeine. The only difference between guarana and other caffeine providers is it releases its caffeine more slowly. This can provide longer lasting benefits. Green Tea: Although green tea contains a small amount of caffeine, scientific study shows its real value as a fat burner is due to the presence of catechins and polyphenols. Black Tea: Black tea appears to offer benefits that are similar to those of green tea, but the studies done to date were conducted on lab animals. Human-based studies are much to be desired. Damiana: A species of shrub that has a history of use as an aphrodisiac. It’s sometimes used as a treatment for headaches, depression, and constipation, but it is unlikely to further the process of weight loss. Ginger: An ingredient that can be useful for treating heart burn and other gastrointestinal problems. Schisandra: A fruit extract that is credited with many abilities, including increased energy and improved endurance, but is not normally considered a dieting aid. Scutellaria Root: Also called Chinese Skullcap, scutellaria is used to treat a wide range of maladies, but there is insuffiecent evidence to prove it has value in any area. Tibetan Ginseng: A popular herb that is renowned for its health-enhancing abilities, but is unlikely to help anyone to slim-down. Cocoa Nut: There is a limited amount of evidence to suggest cocoa can help with weight loss, but further study is much needed. Jujube: Chinese herbalists sometimes use this ingredient to treat gastrointestinal problems, but it has little of value to offer here. Usage Instructions – The Amazon sales page states the capsules should be taken with water, 15 minutes before meals. Two capsules are required twice per day. Customer feedback is mixed. Some people say the pills do what they are supposed to do, others state they are a waste of money. The official Akavar 2050 website does not mention if side effects are a possibility and, but several users say the pills made them feel unwell. All potential users should play it safe and refrains from using the product until they have shown the bottle to their doctor and attained confirmation the formulation is safe to use. Many online stores that used to carry the product no longer do so, but it is possible to purchase a twin-pack from Amazon.com for just under $24 (£18.50). However, the bottles for sale on Amazon contain 120 capsules. The bottles for sale on the official product website contain 72 capsules and cost $39.99 (£30) per bottle, so we have to wonder if it is a conterfeit version of Akavar 2050. Akavar 2050 is sold with a 30-day money back guarantee. Akavar 2050 is marketed as an appetite suppressant yet, if the product for sale on Amazon is the real deal, the formulation does not contain any powerful appetite suppressing ingredients like glucomannan or garcinia cambogia. Green tea and caffeine should be good for encouraging fat burning, but the blend may contain more caffeine than some people can handle, so this is a product that should not be used without a doctor’s approval. It is our opinion that PhenQ is a superior product – it can offer customers many benefits connected to weight loss including appetite suppression, calorie reduction by blocking fat from being digested as well as burning existing body fat. PhenQ has a great customer service, a long 60 day money back refund policy and offers free shipping worldwide.